Subject/s: A. Alcestis (right) the bride (named), more heavily draped and bejewelled than the other women, leans seductively against a couch with 'embroidered' patterns inside her house. 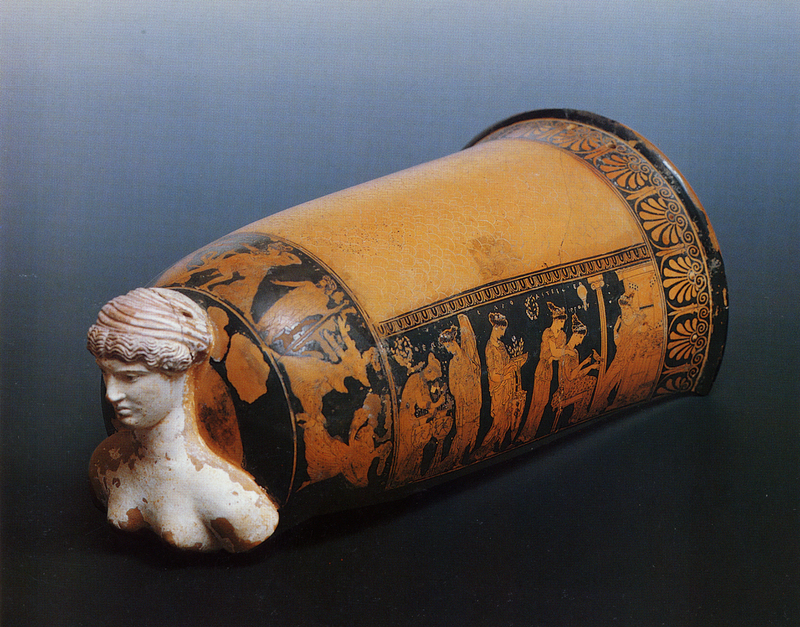 They – also named to elevate the occasion to a higher sphere – fill the figure-decorated wedding vases – a loutrophoros and two lebetes gamikoi – with 'flowers'. 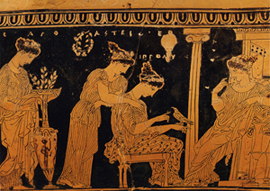 B. Aphrodite (left), seated with her feet resting on a stool and holding a wreath, is attended by personifications of marital bliss. Around the 'knee' Peleus pursues Thetis– another famous love story. 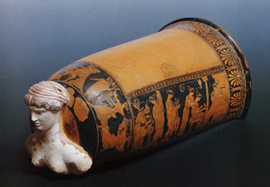 Analysis: the feminine shape and stories and the unusually fine decoration on a functional shape suggest a special vase to celebrate a wedding. It was probably deposited in a grave as an heirloom of the bride.